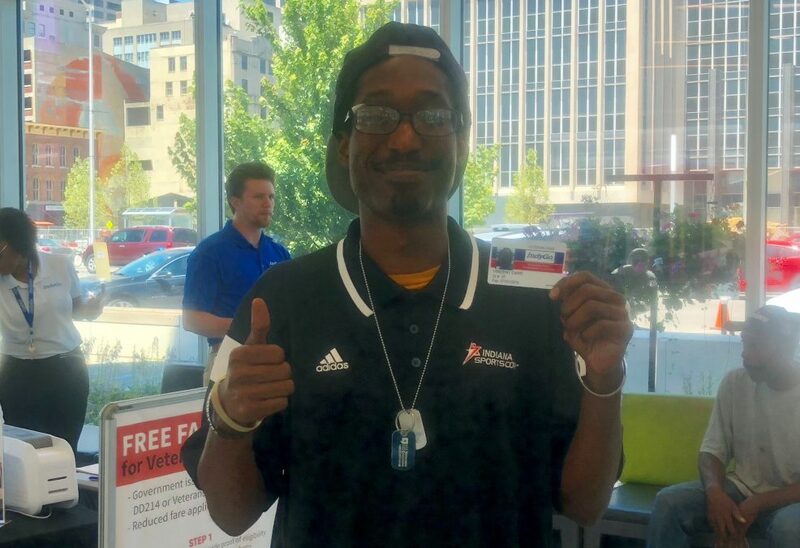 'I'm not going through it alone' How helping Navy homeless veteran was team effort | HVAF of Indiana, Inc.
After graduating from high school, Vincent decided he wanted to fight for our country, and he joined the United States Navy. “I wanted to do something better with my life,” he said. From 2007-2011, Vincent was in active duty. But due to missing his child’s birth, his first and second birthday, and other important milestones, he decided to go into four years of inactive reserve. For several years after his time in active duty, Vincent experienced divorce, mental health, and homelessness. Although he was going to school through the G.I. Bill he was sending that money to his ex-wife and child, which led him to becoming homeless and struggling to find places to sleep at night. After several years of facing tough times, Vincent said his mom prayed about it, and she was led to think of Indiana as a place for him to live. They found out Indiana has a great Veterans Affairs system, and decided it would be an ideal place for Vincent to move to— making him not too far away from his family in Michigan. He arrived in Indianapolis in 2015, and the Veterans Affairs Benefits administration pointed him to HVAF. Today, Vincent lives in one of HVAF’s properties and receives case management. He said he appreciates how not only his one case manager, Tisha, helps him; but everyone on staff is there for him. Everyone— from the case managers to the front desk receptionists to the maintenance workers— care about him, he said. “They keep telling me- you don’t have to go through this alone,” Vincent said. While staying in our properties and receiving help through our programs and services, Vincent is also able to work for a security company. He has worked there off and on since switching to inactive reserve. Every veteran Vincent comes into contact with, he makes sure to tell them about the services HVAF provides.